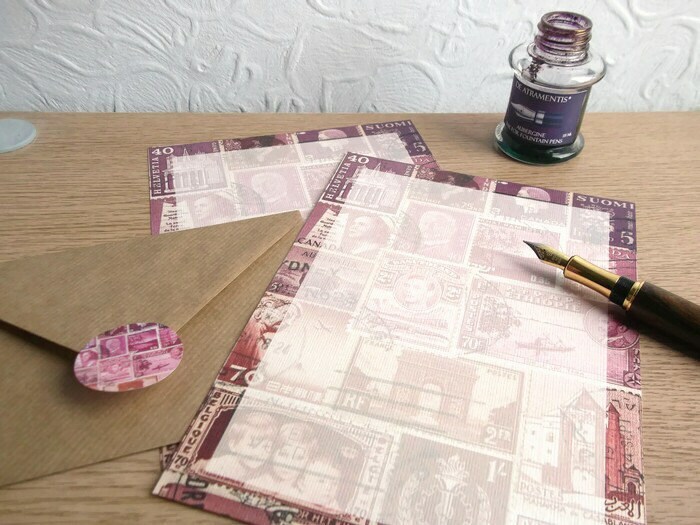 This letter paper stationery set provides a perfect postal / travel-themed background for all your snail mail correspondence. 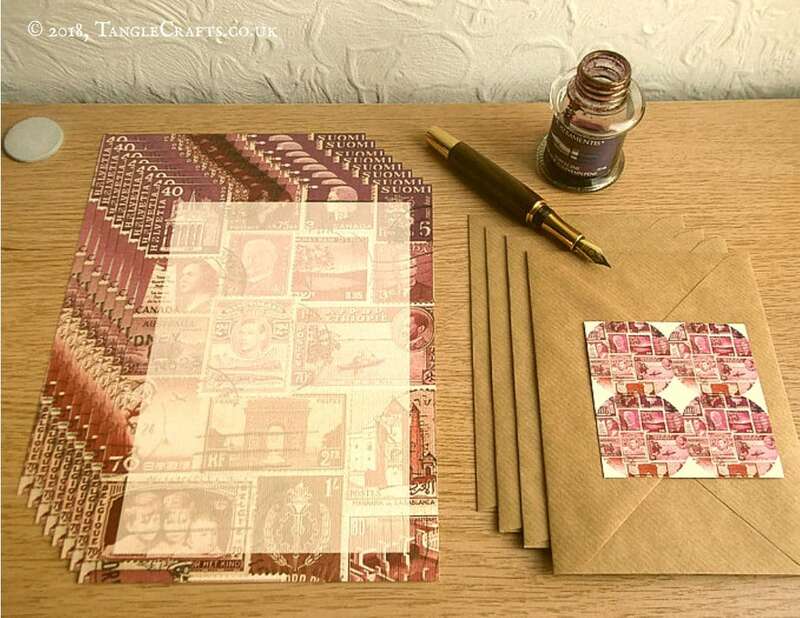 The abstract skyscape design is reproduced from one of my original collages of vintage postage stamps from around the world, in glowing dusky mauves & purples over shadowy cocoa browns. 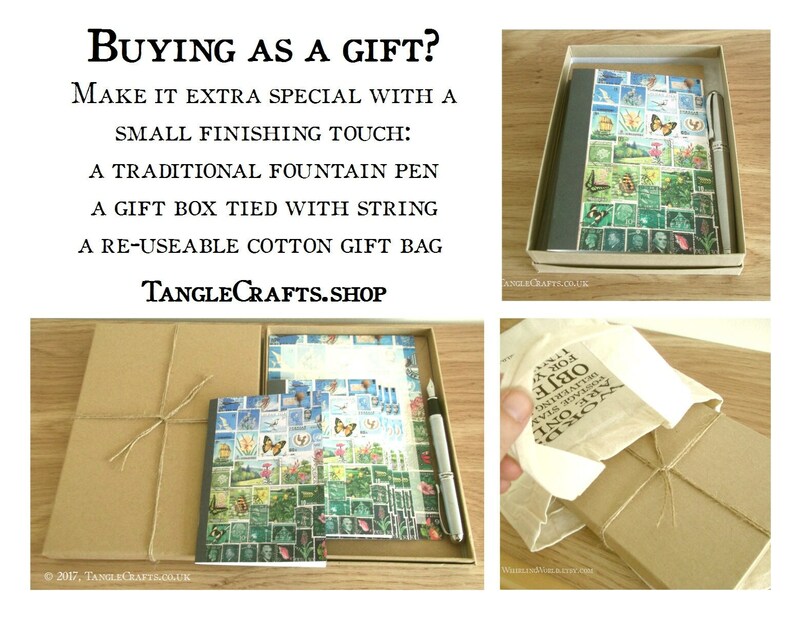 The design is nicely non-specific, suitable for many different purposes. 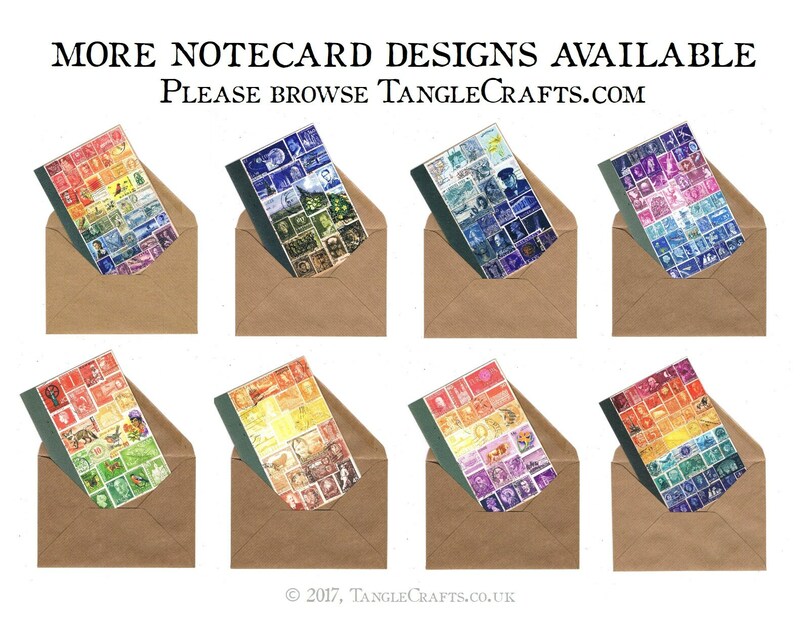 4 ribbed kraft envelopes are included: C6 size, which perfectly fits the notepaper (folded once) and/or notecard. 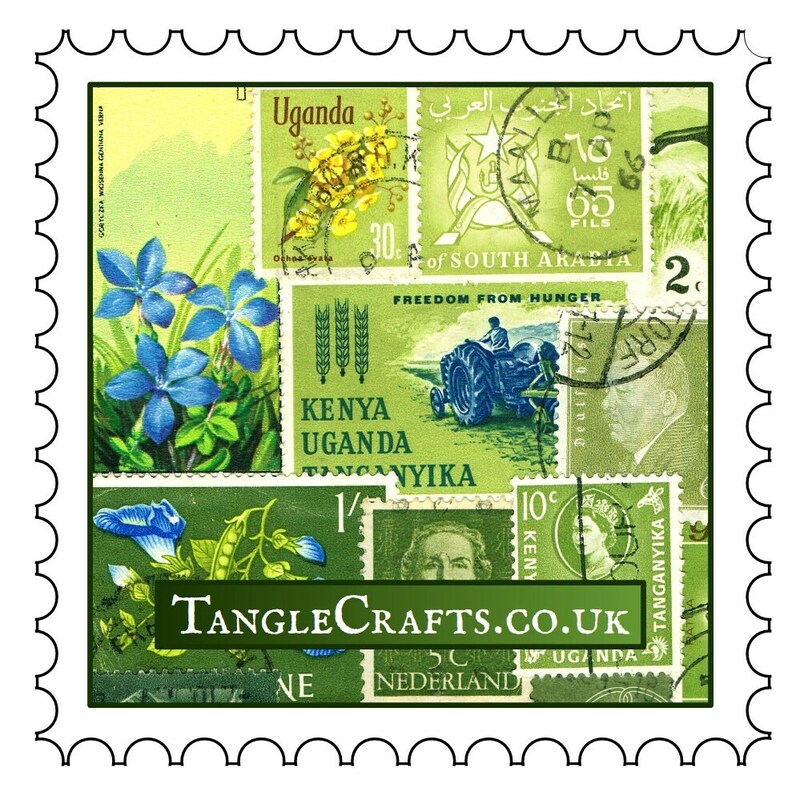 Seal your envelopes with the adhesive seals provided, featuring matching postage stamp design. 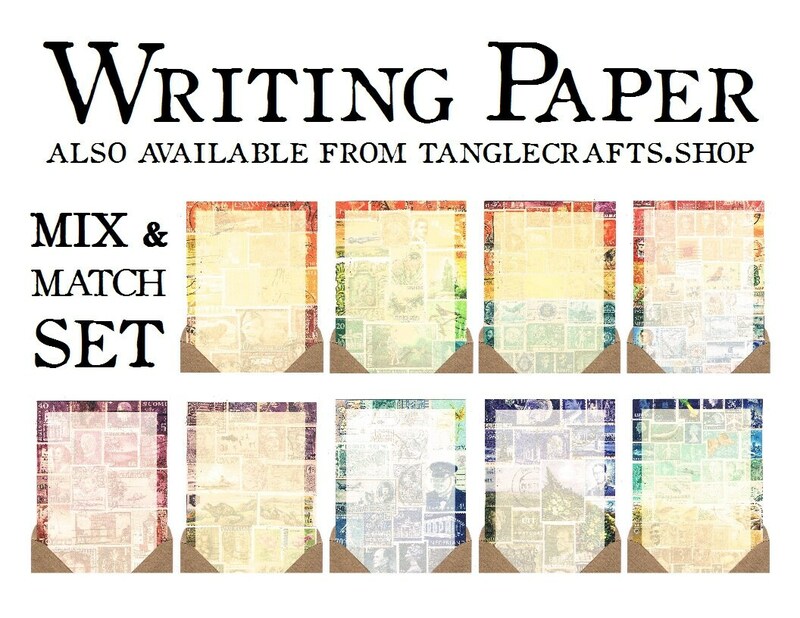 The matching notecard has a matt, lightly hammered finish, printed on 250gsm 'tintoretto gesso' cardstock. 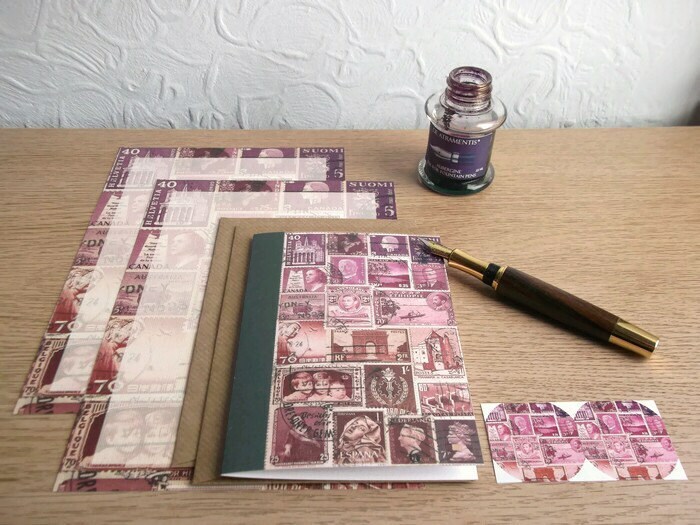 The original collage was a notebook cover, and the notecard retains this 'feel', with printed bound edge, and the reverse of the card reproducing the plain kraft reverse of the original notebook. 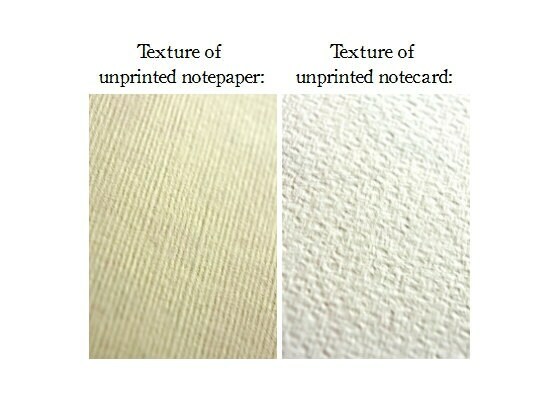 The inside of the card is pure white, not printed at all, and again, a fountain pen friendly surface. 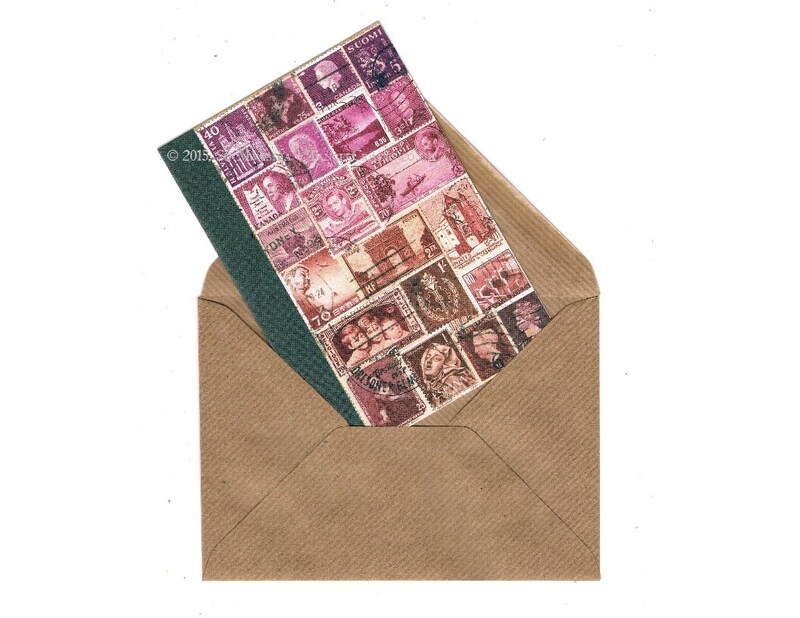 Perfect for dashing off a quick note to a friend, or put to use as an any-occasion greeting card. 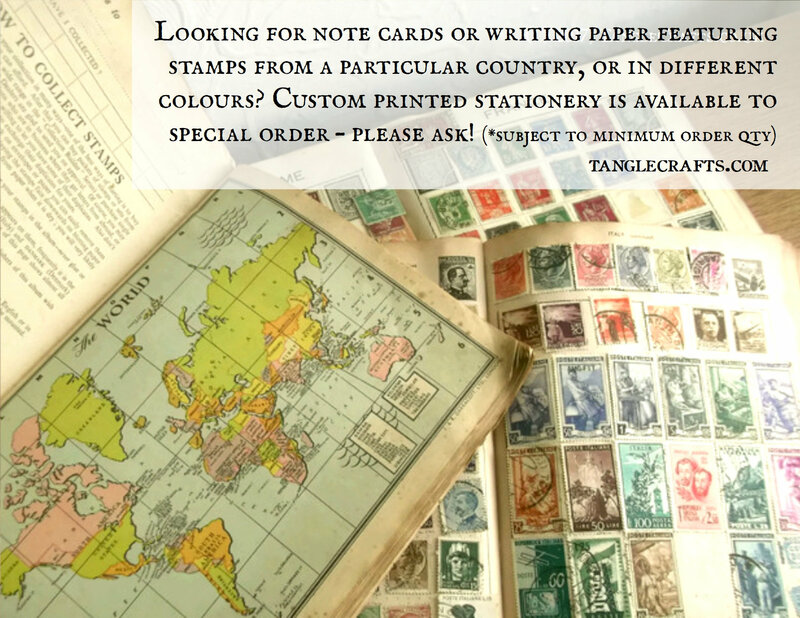 Select from the drop-down list if you would prefer a set of notepaper only, notecards only, or save money with a combination set.